Deo, Doctrinae, Aeternitati. For God, For Learning, Forever. The first time I heard Samford's motto it really stuck with me. I was impressed with Samford’s commitment to always glorify God. In my eyes, this dedication is what sets us apart from other universities. Samford provides it's students great ways to grow in their faith. For example, every Tuesday and Thursday campus meets for Convocation (“Convo”) to worship together. During this time no classes meet to open up everyone's schedule, the worship band leads students and faculty in worship, and a guest speaker gives a message. Convo is a great time to rest from the busyness of a college schedule and focus on God. Samford also provides other ways to grow spiritually through college ministries and Cadres. These ministries include RUF, Reign, Campus Outreach, and Delight. Each one provides a unique way for students to engage in conversation, singing, and teaching. RUF focuses on large group teaching. Reign celebrates freedom, worship, and who God is. 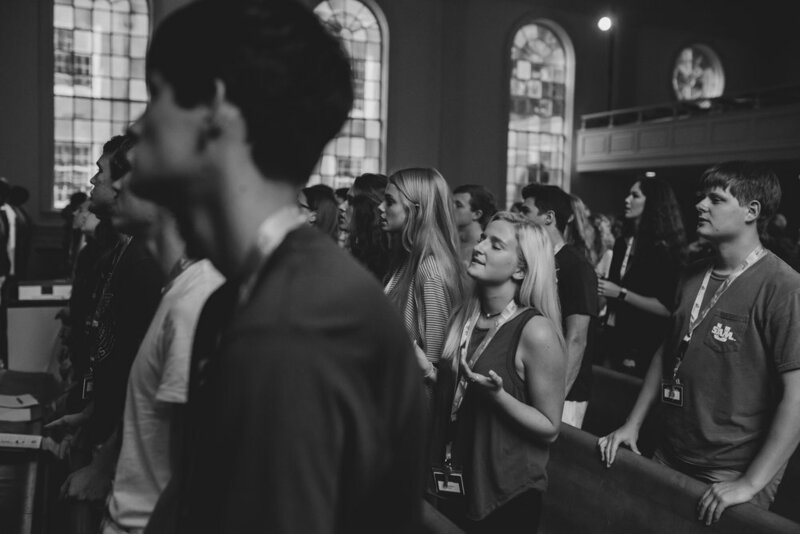 Campus Outreach is a time of student-led worship. Delight is a ministry for college women to connect in a Christ-centered community, and Cadres are small groups led by faculty, staff, and students. My personal favorite faith-based opportunity Samford provides is home groups. A home group is a small group that meets at a professor or staff member’s house once a week. The host provides a meal and student leaders guide the group in a Bible study. My home group has given me a great way to connect with wise, Godly Samford students. This semester we are studying the book of Acts, which has taught me a lot about being a bold follower of Christ. I always look forward to home group nights! Samford’s devotion to providing a place for students to grow spiritually makes it an exceptional university!